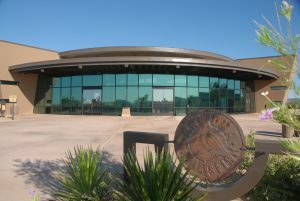 PHOENIX — The next meeting of the Arizona Game and Fish Commission will be Friday, April 12, and Saturday, April 13, at the Arizona Game and Fish Department headquarters, Quail Room, at 5000 W. Carefree Highway in Phoenix. The meeting begins at 8 a.m. both days. The meeting can be attended in person or viewed at https://www.azgfd.com/agency/commission/commission-cam/. The meeting also can be viewed from any of the department’s regional offices statewide (Friday only) on streaming video. Those who wish to speak to the commission may submit “speaker cards” (blue cards) in person at the meeting or from a regional office (Friday only). The ability to speak to the commission is not available for those viewing the webcast. An update on the department’s efforts toward accomplishing commission priorities, including the priority to develop a comprehensive facility maintenance program and real estate strategy. An update on activities and involvement with resource management planning and other major actions on federal lands in Arizona. A briefing on the department’s program to manage both the black-tailed and Gunnison’s prairie dog in a manner the Endangered Species Act listing is not required. Request for the commission to approve the five-year rule review report for Article 1 addressing definitions and general provisions for submission to the Governor’s Regulatory Review Council (GRRC). Request for the commission to approve the five-year rule review report for Article 2, addressing licenses, permits, stamps and tags for submission to GRRC. Photo opportunity for the Wildlife Center ceremonial groundbreaking. Arizona Department of Forestry and Fire Management (DFFM) Cooperative Agreement. The Cooperative Agreement outlines how the department and the state forester work cooperatively to provide services for the protection of forest, wild and agricultural lands and rural structures as well as work jointly to manage fuels to benefit wildlife habitat on department-managed lands. Consideration of the Law Enforcement Boating Safety Fund (LEBSF) grant allocation formula for FY 2020 (per ARS § 5-383). – Consideration of a Memorandum of Understanding with the Friends of Buenos Aires National Wildlife Refuge for conservation and management activities in Arizona for pronghorn and other species. – Consideration of an Intergovernmental Agreement with the Navajo Nation to provide cooperative training regarding fish and wildlife law enforcement, boating law enforcement, boating safety, fish and wildlife management techniques, and hunter education to Navajo Nation personnel. Consideration of proposed commission orders 2 (deer), 5-10 (turkey, javelina, bighorn sheep, buffalo, bear, and mountain lion), 13 (predatory and fur-bearing mammals), and 26 (population management) establishing seasons, season dates, bag and possession limits, permit numbers, and open areas for the 2019-20 and 2020-21 seasons. The commission will also consider commission order 23 (trapping) establishing season dates, legal species, open and closed areas, and bag and possession limits for the 2019-20 and 2020-21 seasons. Consideration of proposed small game commission orders 11, 12, 14-18 (tree squirrel, cotton-tailed rabbit, other birds & mammals, pheasant, quail, chukar partridge, and blue grouse establishing seasons and season dates, legal species, open and closed areas, bag and possession limits, and permit numbers for the 2019-20 and 2020-21 hunting seasons. The commission will also consider commission orders 19-22 (dove, band-tailed pigeon, waterfowl, and snipe) and 24 (sandhill crane) establishing seasons and season dates, legal species, open and closed areas, bag and possession limits, and permit numbers for the 2019-20 season.